This story begins with decades of research on incarcerated adults. In an attempt to better understand the mechanisms and processes underlying antisocial behavior and criminal recidivism, researchers identified a subgroup of individuals exhibiting shallow affect, impulsivity, deceitfulness, and low empathy. Taken together to form psychopathy, this constellation of personality features are associated with chronic and severe patterns of antisocial behavior, including aggression, violence, and crime. Motivated by a desire to develop and implement personalized treatment as early as possible, researchers began to investigate whether and how the origins of psychopathic features could be traced into early life. Can we see signs of these distinct psychopathic personality features, which are so strongly associated with severe antisocial behavior, in childhood? And if so, what do they look like? Born from these questions and subsequent research is a cluster of interpersonal and affective deficits referred to as callous-unemotional traits, which research suggests pose distinct risk for aggressive offending across the lifespan and later psychopathy. Callous-unemotional (CU) traits are defined by a lack of guilt and empathy, and shallow or deficient affect. Children with CU traits show impairments in recognizing and responding to signs of fear, sadness, and distress in others, and are less likely to exhibit prosocial behaviors. In addition, these children are less sensitive to punishment, more likely to engage in fearless or thrill-seeking behaviors, and have stronger beliefs that aggression is an acceptable method of achieving goals. It is becoming clear that CU traits are relatively stable over time and predict behavior problems throughout development. Children with CU traits exhibit more severe and chronic patterns of antisocial behavior and are less emotionally affected by their behavior than other groups of antisocial children, who may be more distressed by their antisocial behavior and are more likely to show signs of dysregulation such as anxiety or irritability. This speaks to the core affective deficits that distinguish children with CU traits from other antisocial youth. How Do These Traits Develop? First, behavioral genetic and neuroimaging research demonstrate clear genetic and biological underpinnings. Twin studies indicate that the hereditability of CU traits is around 40 percent and CU traits have been linked to blunted neuroendocrine and lower amygdala activity in response to emotional or stressful situations. While the implications of meeting diagnostic criteria for “limited prosocial emotions,” the DSM-V specifier indexing CU traits, are apparent, recent research on the development of CU traits in community samples and at sub-clinical levels is improving our ability to identify early correlates, risk factors, and protective factors of CU traits. For example, “homegrown” measures of CU traits are being used to identify and understand its correlates in children as young as a few weeks old. In one study, infants who displayed a lower preference for gazing at faces at five weeks old had higher CU traits in toddlerhood. In another study, Wagner and colleagues show that limited affective response to a social scenario typically found to be distressing to infants (i.e. non-responsive, expressionless behavior by their mother) differentiates risk for CU traits from ODD in childhood. Meanwhile, recent research is beginning to elucidate the relationship between CU traits and parenting, with a particular focus on parental warmth, sensitivity, and attachment style. 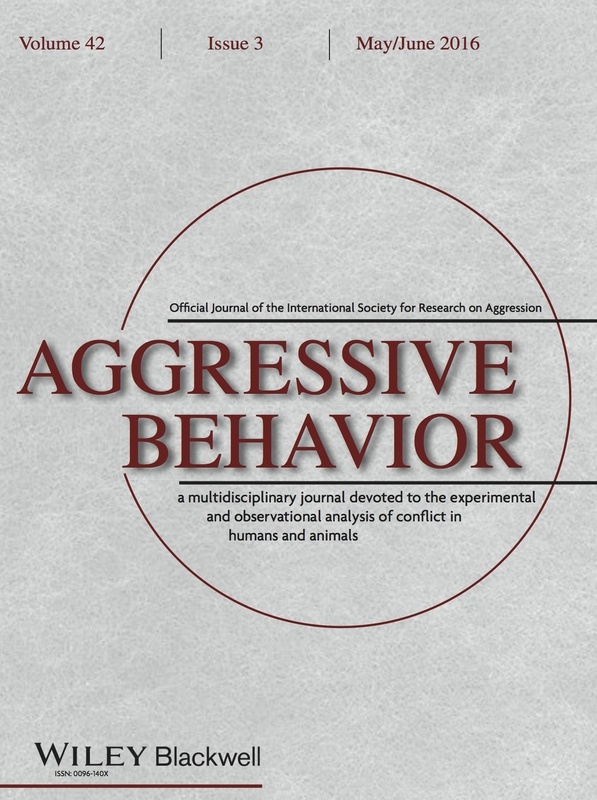 In a longitudinal study, among children with disorganized attachment with a caregiver, the presence of both callous-unemotional traits and ODD behaviors at three years old predicted elevated levels of aggression from 1st grade through 6th grade. Research identifies how children internalize early experiences with caregivers as one mechanism carrying these experiences forward to influence later CU traits, and other research has highlighted the importance of parents’ emotion socialization practices and reciprocal orientation, cooperation, and shared positive affect on the child’s developing sense of values and level of rule compliance. Building on this body of genetic, biological, and social psychology research, we are exploring CU development through the lens of two potential core mechanisms: fearlessness and reduced affiliative reward. Their work identifies that both fearlessness (i.e., deficits in sensitivity to cues of threat) and reduced affiliative reward (i.e. failures to develop social bonding and empathy) are early temperamental factors playing a central role in the etiology of CU traits. Support of this theory includes a long history of evolutionary and developmental research highlighting the importance of early affiliative bonds and fear reactivity for adaptive social and emotional development, as well as results from more recent studies including one of adopted children, in which biological mothers’ fearlessness and low affiliative behavior predicted child CU traits. There is much more to explore when it comes to understanding the core features of CU traits, how they develop, and how to intervene to promote psychosocial adaptation. In terms of treatment, the limited research suggests that the earlier we intervene with children with CU traits, the better the outcome. In addition, intervention research has begun to reveal the benefit of targeting specific mechanisms implicated in CU traits when considering treatment approaches. For example, while traditional parent training and behavioral therapy helps to reduce antisocial behavior in children with conduct problems, these treatments are less effective for children with both conduct problems and CU traits. Yet when traditional interventions are adapted to emphasize (1) teaching parents skills to increase their own verbal and physical warmth and sensitivity, (2) using reward instead of punishment, and (3) showing parents how to coach and reinforce emotional skills and prosocial behaviors, treatment of CU shows promise. Especially because CU traits inform additional risk for aggression and other antisocial behaviors, it is essential to consider the core affective and interpersonal deficits of CU when conceptualizing antisocial behavior development and treatment. Our hope is that researchers will continue to expand upon our current understanding of CU traits so that we can better attend to the unique needs of these children and help set them up for a safe and successful future. Rebecca Levine, LICSW, is the project coordinator and lab manager for the Biobehavioral and Social Emotional Development (BASE) Lab at Boston University (BU). Nicholas J. Wagner, Ph.D. is an Assistant Professor in the Department of Psychological and Brain Sciences at BU and director of the BASE Lab. Their current work at the BASE Lab seeks to better understand callous-unemotional traits by exploring the key components of empathy, guilt, and emotion recognition using eye-tracking and physiological measures, as well as learning how parents help to guide the development of affective and interpersonal skills of their children. Details about their lab and current study can be found here.